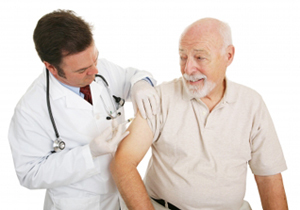 Dr Cochin can offer joint injections to help certain conditions of the shoulder, knee and elbows. Each patient needs to be assessed individually by Dr Cochin for suitability. Your regular Doctor will suggest this option to you if it is thought appropriate. To request a routine pregnancy test, bring an early morning sample of urine and either leave it at reception or with the doctor or nurse. This is sent to the hospital and the results are available within two days. All ladies trying to conceive or confirmed as pregnant should take folic acid 400mcg/day. This is available from chemists and health food shops. Taking folic acid up to the twelfth week in pregnancy substantially reduces the chance of the baby having spina bifida. Once your pregnancy test has been confirmed as positive please make an appointment to see one of the doctors. They will make arrangements for your antenatal care together with the midwives and the hospital. For your convenience most of your appointments will be at the surgery. All the doctors provide a full and completely confidential family planning service. Please book a routine appointment. Additionally, Dr Moncrieff fits the coil (IUCD). Drs Moncrieff and Raj are now offering the contraceptive implant. Sisters Carter and Kellett are fully trained to deal with all aspects of womens health. If you require any of these services please book an appointment with Sr.Carter or Sr Kellett in the first instance (including pill check) Srs.Carter and Kellett perform coil checks. The health of the under fives is supervised by Dr Moncrieff at Buttershaw Lane and Dr Halstead at Park Road, along with the health visitors, at a weekly clinic held in both surgeries. All the routine checks and the vaccinations are given at these clinics. The health visitors are also available to give health advice on children's common problems. For general advice, no appointment is necessary - just turn up to the baby clinic! We hold open clinics starting from October each year to vaccinate those at risk (over 65 year olds, asthmatics, diabetics, heart disease) against influenza. If you require any vaccinations relating to foreign travel you need to make an appointment with the practice nurse to discuss your travel arrangements. Please make an appointment with the practice nurse at least two months prior to your departure date. Health visitors team are based at Park Road. They work closely with Dr Moncrieff and Dr Halstead at the well baby clinics. They will introduce themselves to all mothers to be, new babies and all newly registered children under the age of four and a half. Their telephone numbers for enquiries are Bradford 227988,227980 and 227985. We have two midwife teams attached to the practice. The Howbeq Team work at Buttershaw Lane, and can be contacted on 01274 365047. The Jade Team are based at Park Road and can be contacted on 01274 356761. The midwives provide antenatal and postnatal care. They can organise your birth plan, arrange antenatal classes and, nearer to the time of your baby's birth, arrange for you to visit the hospital delivery suite. For urgent advice (8.30am to 5.00pm weekdays) please telephone the Midwives 24hr Helpline on mobile 01274 364533. Certain certificates are not covered by the NHS. For these services a fee is charged according to BMA recommended rates which are displayed at both surgeries. These include certificates for private medical insurance (eg PPP, BUPA), holiday cancellation, fitness to travel and private sick notes. We will require payment on collection of the forms. Appointments can be made for private medical examinations, eg fitness to drive, pre-employment, fitness for some sports/activities, LGV, HGV, PSV and taxi licences. Please state what the appointment is for and the receptionist will arrange a mutually convenient time with your chosen doctor outside surgery hours. A urine sample will be required for most medicals and please also bring your glasses as a sight test may be required. Again these fees are displayed and payment will be required at the end of the examination.